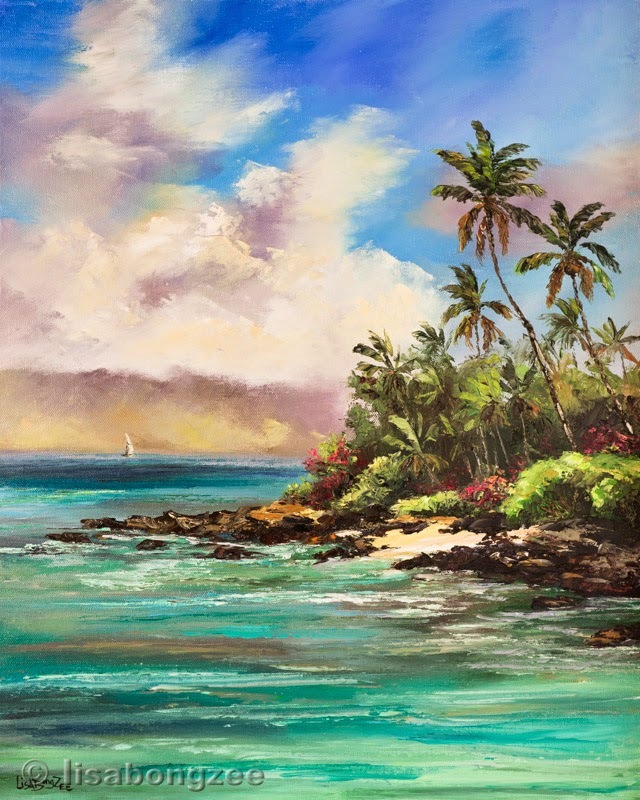 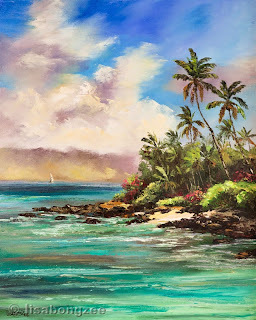 Some of my latest original palette knife oil paintings can now be found in Waikiki. 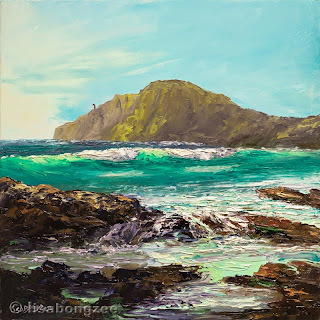 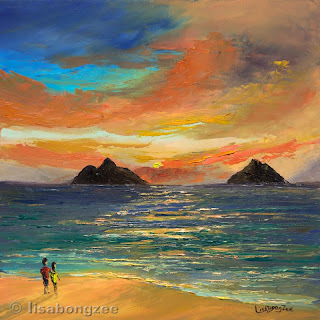 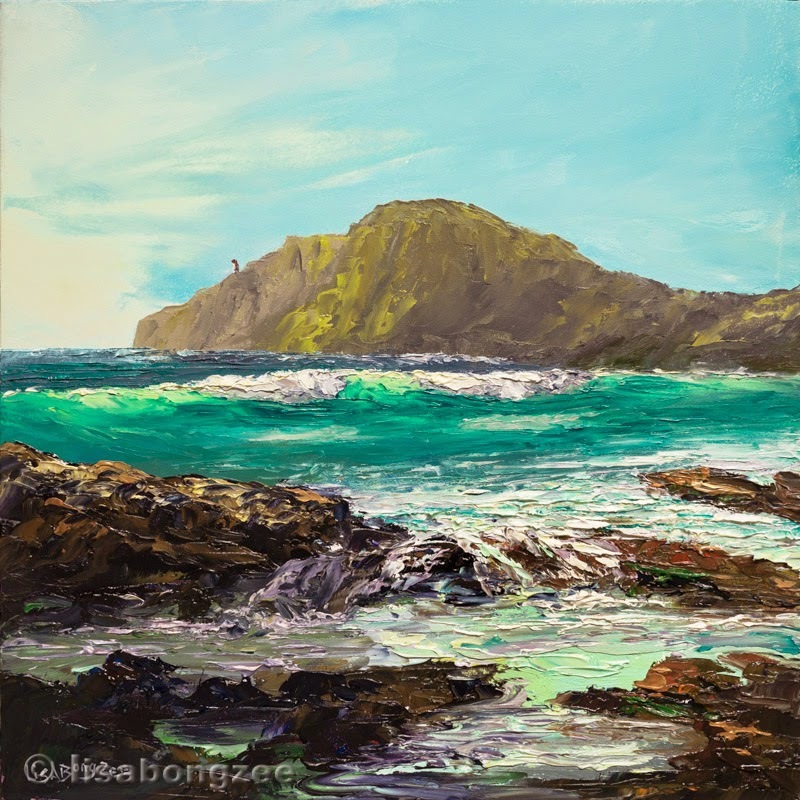 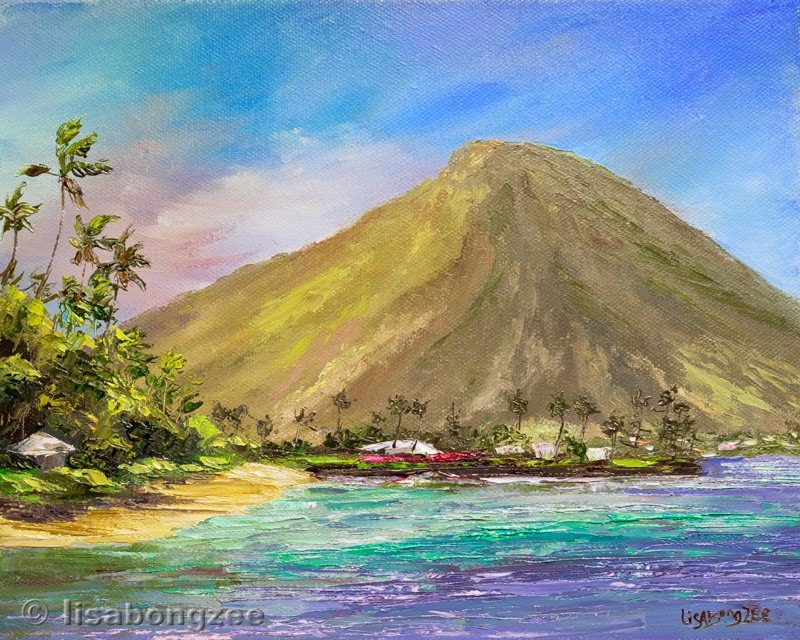 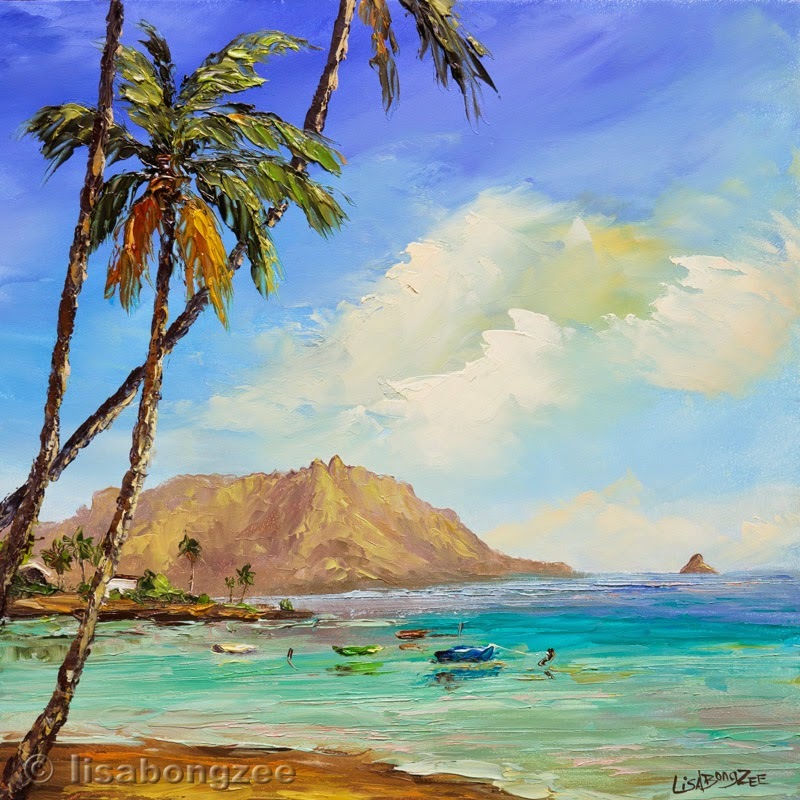 is a fun little gallery, packed with lots of great Hawaiian art from many local artists, now including Lisabongzee! 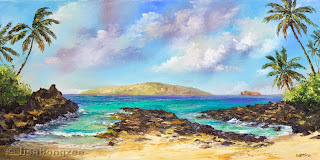 A 12x24 scene of Pa'ako Beach (Secret Cove) on Maui. 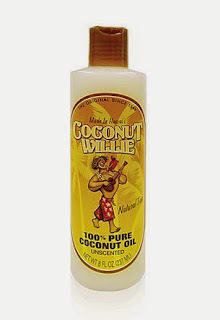 When my bottle of pure coconut oil turns from a liquid to a solid, that's my way of knowing it's time to bust out the toasty warm fuzzy socks. 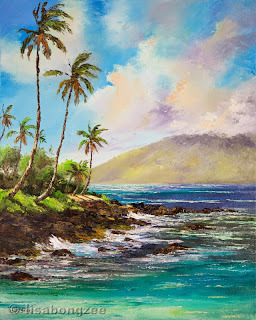 Winter In Hawaii, isn't it great! Keeping busy with the palette knife. 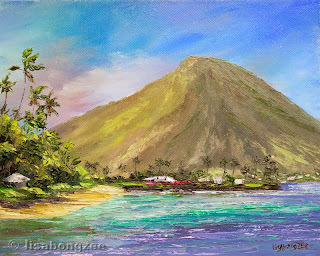 Here are a few new smaller paintings I have been working on. 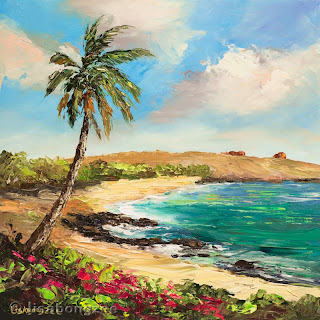 Here are two of my latest 20x16 tropical palette knife paintings. 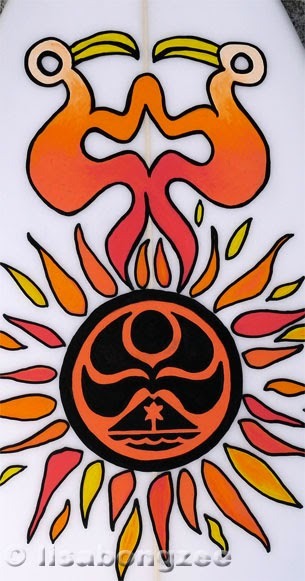 My new Eric Arakawa Bandit didn't stay blank for long. Decided to give it an Easter Island theme. 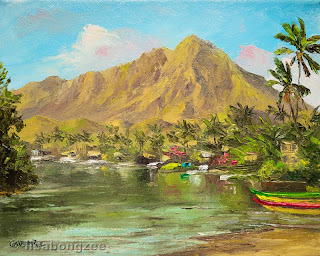 Since my other boards are quite bright and colorful, I kept this one a bit more calm. 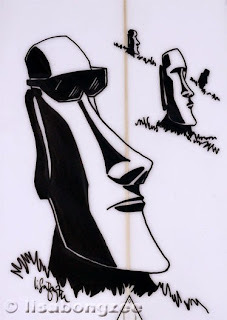 The poor Moai, sitting out there in the hot blaring sun, I had to give him a pair of shades. 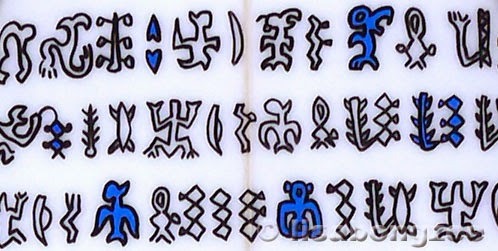 Tangata Manu (BirdMan) symbols etched in the rocks high atop the sea cliff village of Orongo. 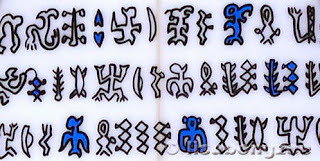 A strip of Rongorongo across the front. 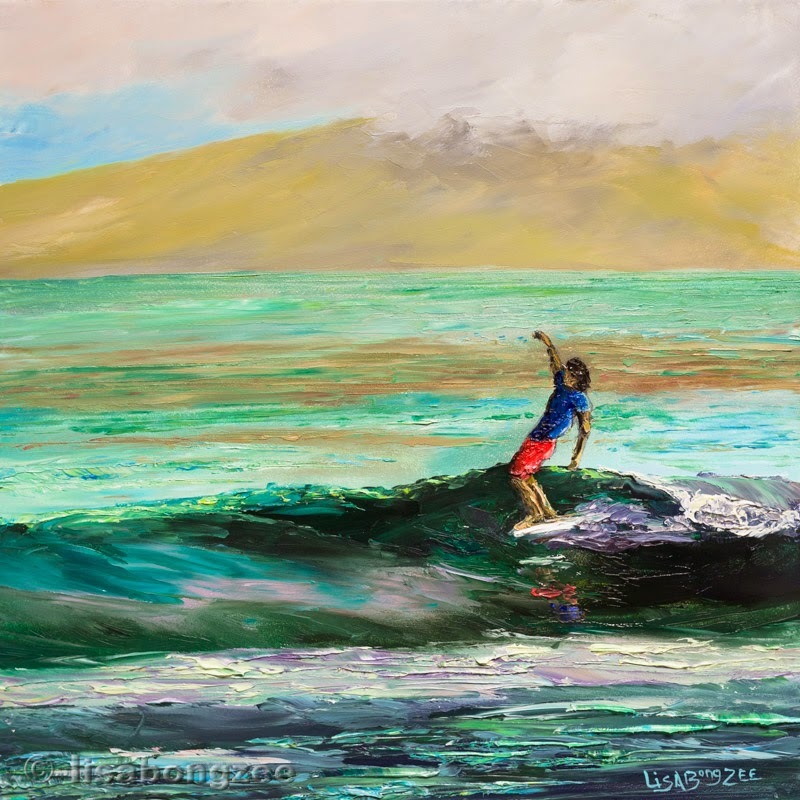 The early morning ocean is starting to get noticeably colder. 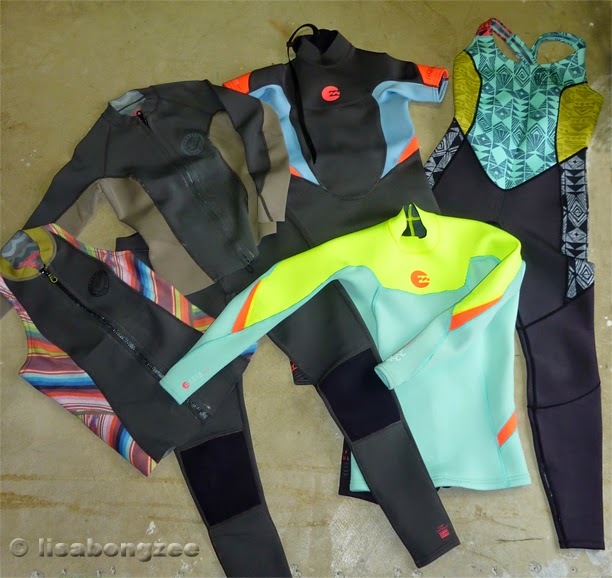 Time to bust out the "Hawaiian Winter Wear"
Still waiting to spot our first Sandy's humpback whales of the season. 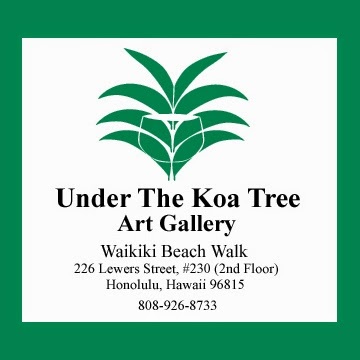 Love when they are out there with us! 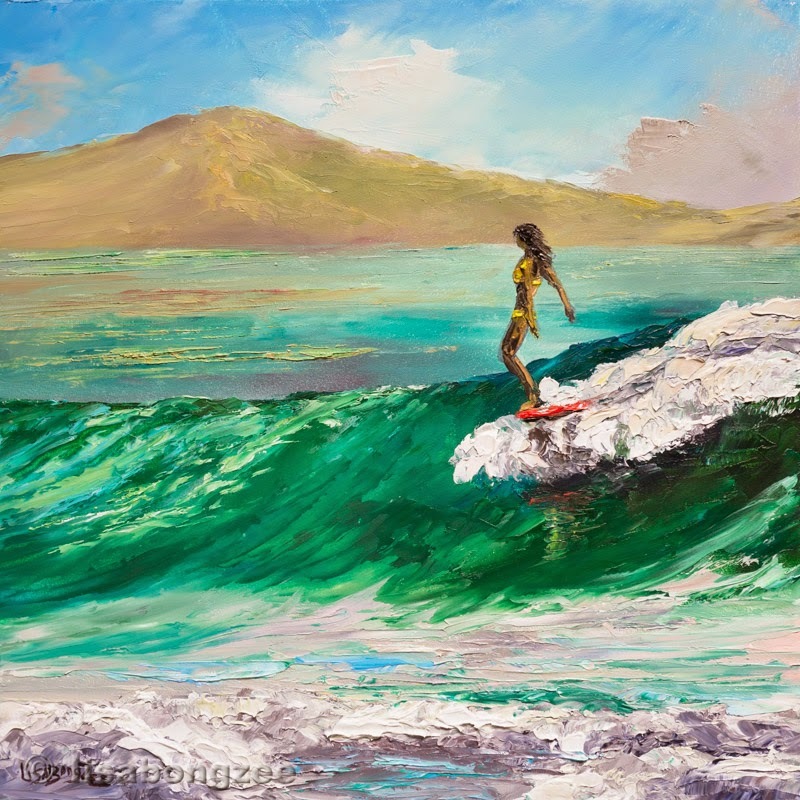 Here are a couple of longboarders doing their thing. 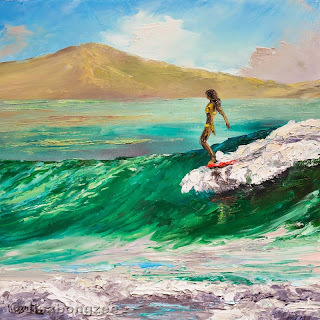 Although I have never longboarded before, it looks like it could be fun.